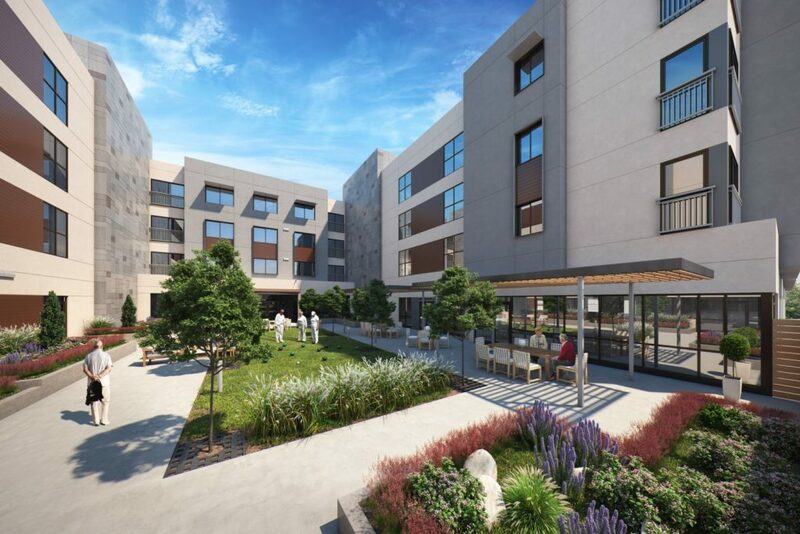 SRM Development’s latest senior housing project, located in Milpitas, California, is moving forward with an official groundbreaking ceremony scheduled for March 23rd. Construction on the site will start immediately afterward. This development covers almost 2 acres, will have 165 assisted living units and 34 memory care units. The 4-story project will be SRM’s largest senior housing project in the Bay Area thus far! The Project Team is led by Peter Friis (Project Manager), Brian Kopelowitz (Superintendent), Kim Do (Project Engineer) and Rudy Lopez (Site Foreman). Everyone at SRM has been looking forward to this project getting underway and we are pleased the start of construction is just days away!